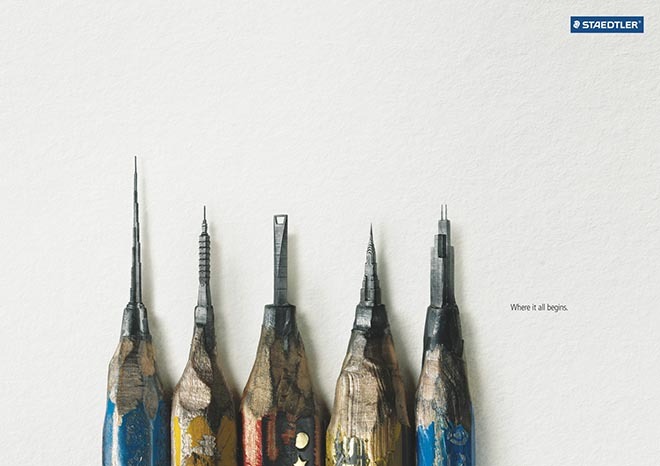 Staedtler Hong Kong has followed up the success of its “Where It All Begins” advertising campaign with a further set of print advertisements featuring shaved pencils. Inspired by Dalton M. Ghetti, in Bridgeport, Connecticut, the campaign shows how classic designs were born from pencil sketches. Staedtler’s pencil tip graphite has been crafted into microscopic miniatures: “Helvetica”, “Architecture” and “Concorde”. 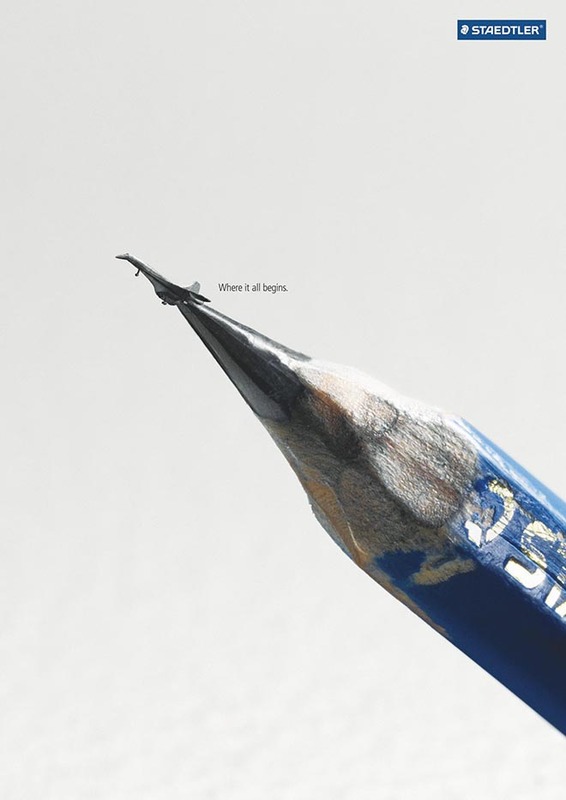 The campaign is designed to remind people, especially the younger generation, that the power of creativity comes from the freedom and inspiration of pencil sketching. More and more, the younger generation has succumbed to the convenience of digital technology and replaced the classic technique of pencil sketching with digital sketch pads. STAEDTLER, the world-renowned sketching pencil believes that inspiration derived from pencil sketching can never be replaced by any digital means. STAEDTLER intends to revive the memory in people of where designs originally begin – A sketch pencil. With the success of last year’s campaign, this year features new inspirations to refresh the campaign. Buildings featured include Burj Khalifa Dubai, Shanghai World Financial Center, Willis Tower (previously known as Sears Tower). 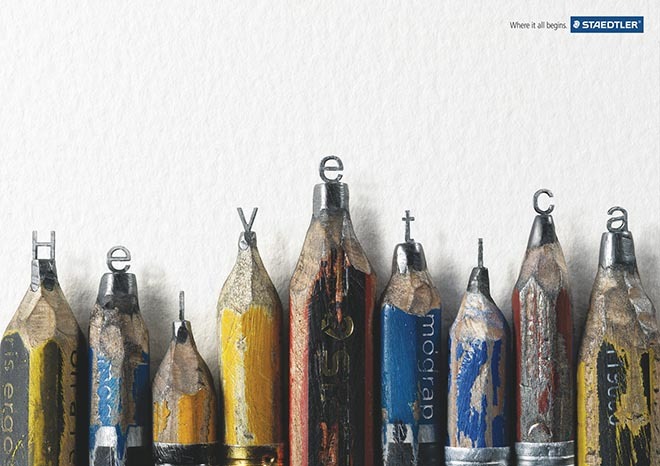 The Staedtler Pencils campaign was developed at Leo Burnett, Hong Kong, by executive creative director Connie Lo, Hong Kong, creative directors Miranda Shing and Adrian Lam, art director May Chan, copywriters Fanny Lau and Wen Louie, account supervisor Margaret Chan, account executives Hanford Sheng and Candy Chan, photographer Stephen Cheung, digital retoucher Henry Chan. The campaign has been acknowledged and supported by pencil sharpening artist Dalton M. Ghetti.